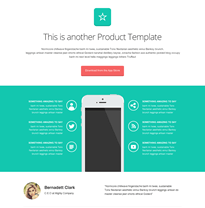 If you've got a product , use this product landing page template to market directly to your local customers. 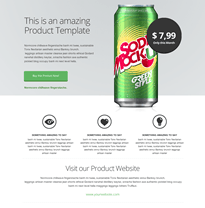 Here is an example of product landing page template. Customize it - include a map, phone number or a sign up form to acquire leads. You will love the 'Bright and Bold' Landing Page Template we have to Offer your customers an eBook. 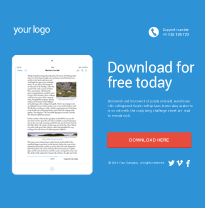 This free e Book template is perfect for promoting a new upcoming book. Launch your new app into the big leagues! Your page for product launch must have the best landing page layout. Use this product launch template for the most important part of your marketing message. 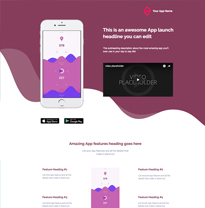 This product detail landing page template is an example of a fully featured landing page template for a mobile app launch. Give your users a demo and place links to where users can download the app.